Comfortable with its second city status, that doesn't mean Porto is afraid to give the capital's serious foodie reputation a run for its money. Where else does that remind me of? It seems rude to go all the way to Portugal and not have a pastel de nata, so head to Nata at your first opportunity. They’re (whisper it) even better than the ones from Belem in Lisbon. For a striking example of Porto's remaining Brutalist architecture and to work off those pastries, head for a quick dip at Piscina Das Mares, salt water pools nestled into the rocks, designed in the 60s. Think the old central library with added sea and sun. And you can’t leave without trying the region’s signature dessert wine, so you should probably do that at Capela Incomum, a chapel turned wine bar. 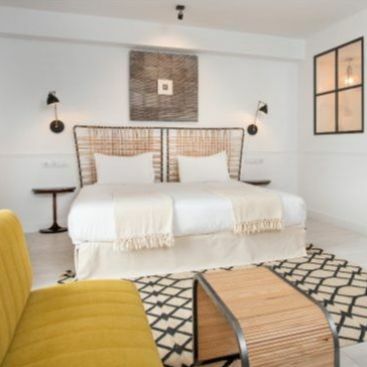 And when you’ve had your fill of port, head back to Rosa Et Al Townhouse, a mid century inspired hotel with six suites. Okay, I get it, Jersey probably wasn’t your first thought for a long weekend. If I mention the sandy beaches, vineyards and Michelin-starred restos and just a 1h10 flight time, might you change your mind? Get your sea to land ratio off to a banging start by calling Barge Aground home for the few days you’re a Jersey resident. Head north to Plemont beach for a stroll – the spot was popular way back in Victorian and Edwardian times and tbh with good reason. The bay is hidden away by cliffs on one side and caves on the other. Now you’ve really earnt a drink, take a tour of La Mare wine estate including guided tasting of their wine, butter and chocolate. Make reservations at Bohemia for a fancy dinner time affair. The tasting menu is £79 for seven courses, with a shout out going to the local crab tart and custard with mango and coriander. I'm now considering you completely convinced. Capital cities kinda have to be full of big impressive things: historic buildings, galleries, palaces yada yada. In Madrid the joy comes from seeking out the hidden things, away from the turistas. Salvador Bachiller is a shop by day, but by night, a security guard leads you to the elevator. Go to the rooftop for a secret, jungle-like terrace serving cocktails and Japanese inspired small bites and sushi. If that isn’t enough sneaky secret drinking for you, you sneaky sneak, Kikekeller is an art gallery slash interior design agency slash speakeasy. And it’s THE place for the cool kids to be seen. So obviously we’d all be welcomed with open arms... Right? And if you don't want the night to end, head to Medias Puri for a dance of the clandestine variety. But if bed is calling, consider stopping at 7 Islas, designed by Kikekeller (those folks you just had an illicit martini with). The farthest flung of our bank hol breaks but also the sunniest, Agadir has a frankly greedy number of days of sunshine per year. A jealousy-inducing 300 at last count. Spend your long weekend perfecting the balance between beach lounging and wave catching with surf lessons from Surf Berbere. Devil’s Rock and Panorama are the beaches to test your new found skills. 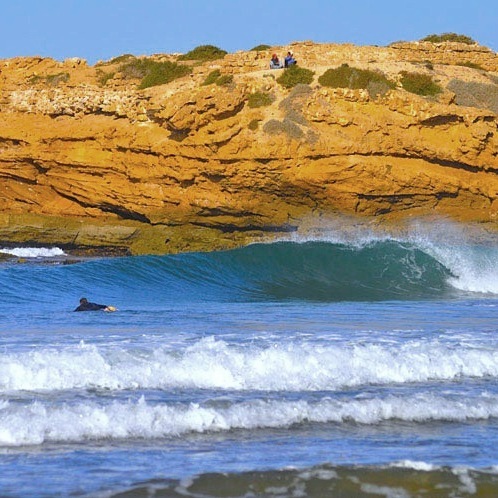 Get extra beach bum points staying at Ksar Massa, set just back from the Atlantic in the heart of Souss Massa National park and wildlife reserve. If you're craving some culture, head to the town's kasbah which dates back to the 1500s and has incred views from its hilltop spot for a guided tour, or if you're more of a retail persuasion, Agadir's Sunday souk and its 6,000 stalls will keep you occupied for hours.